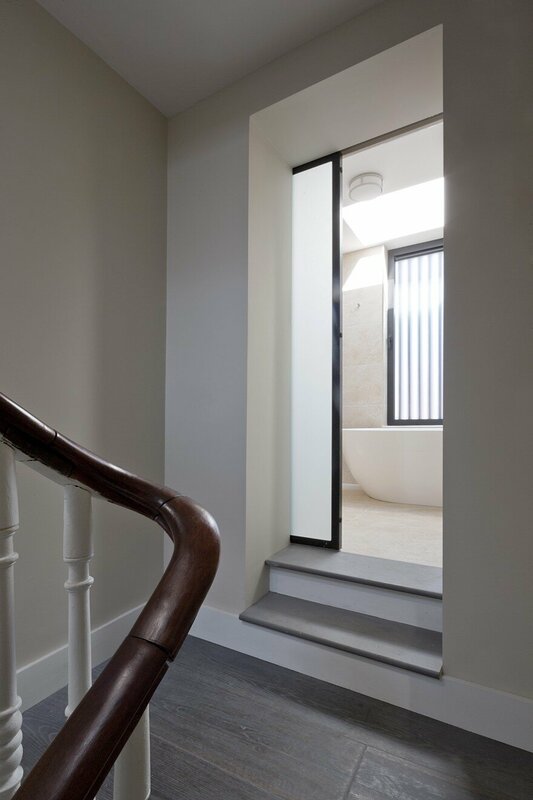 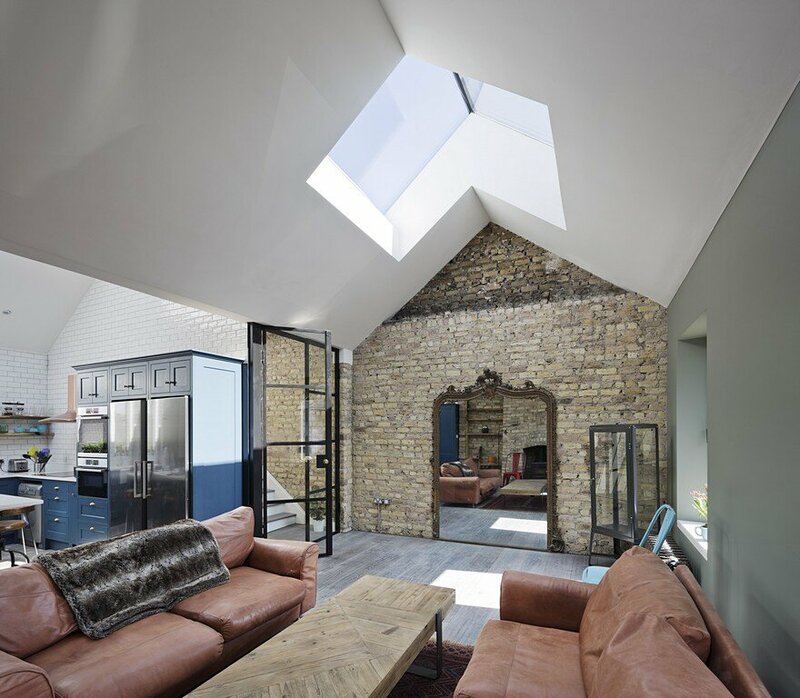 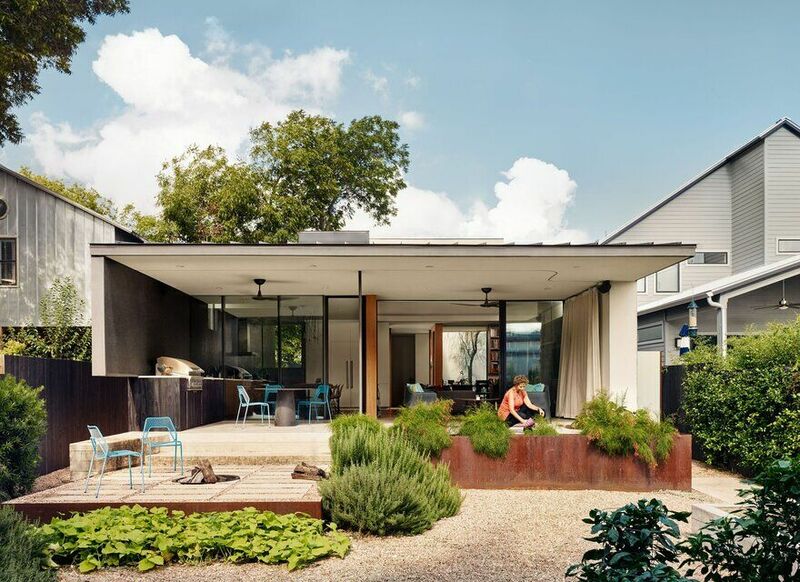 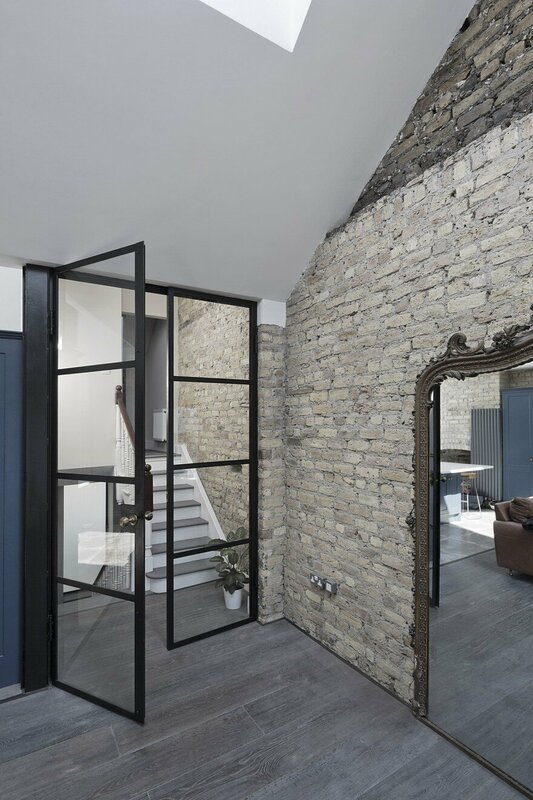 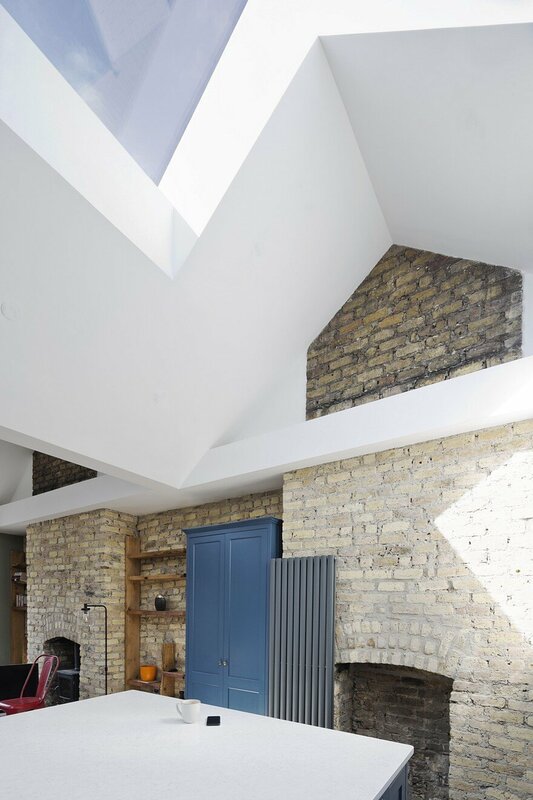 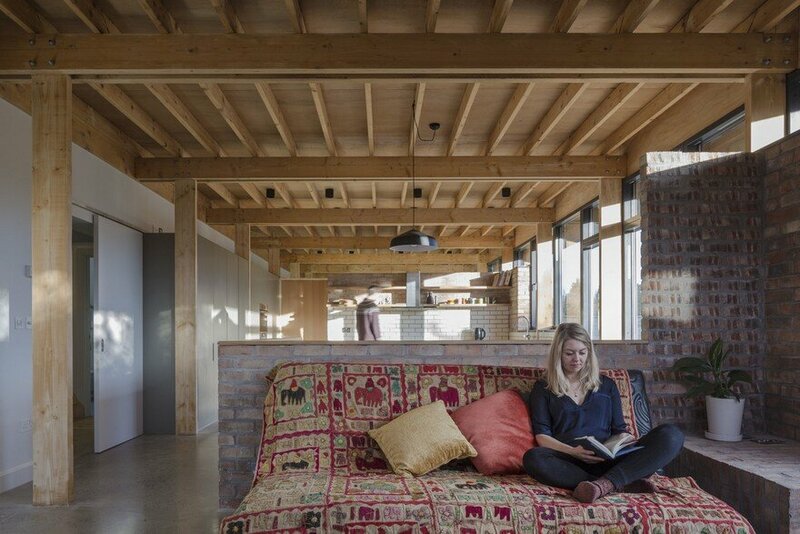 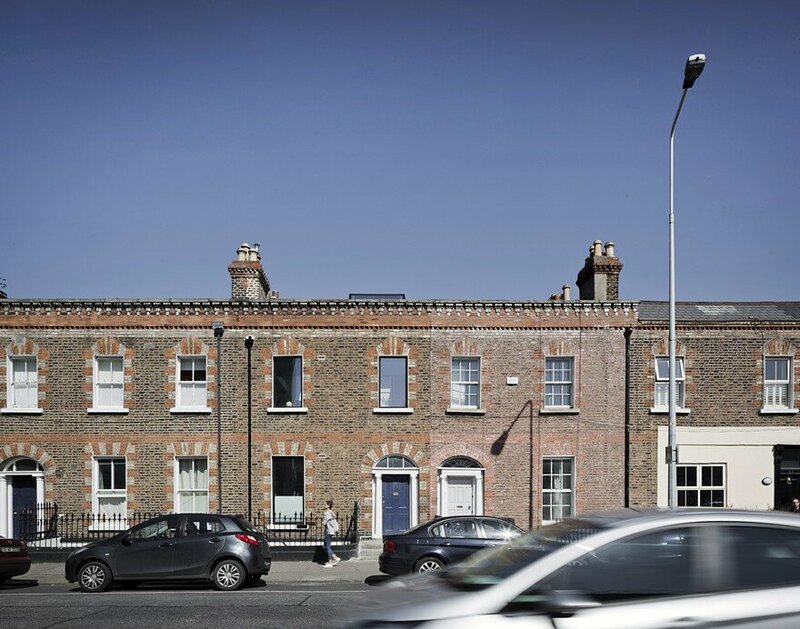 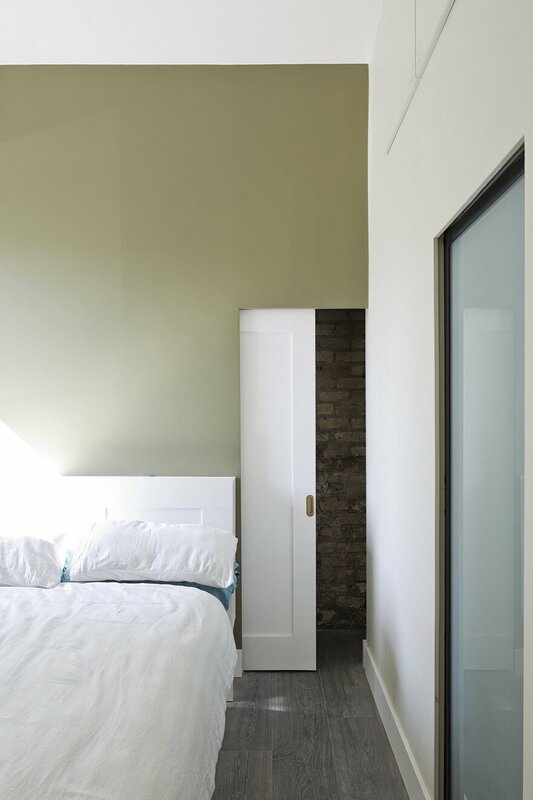 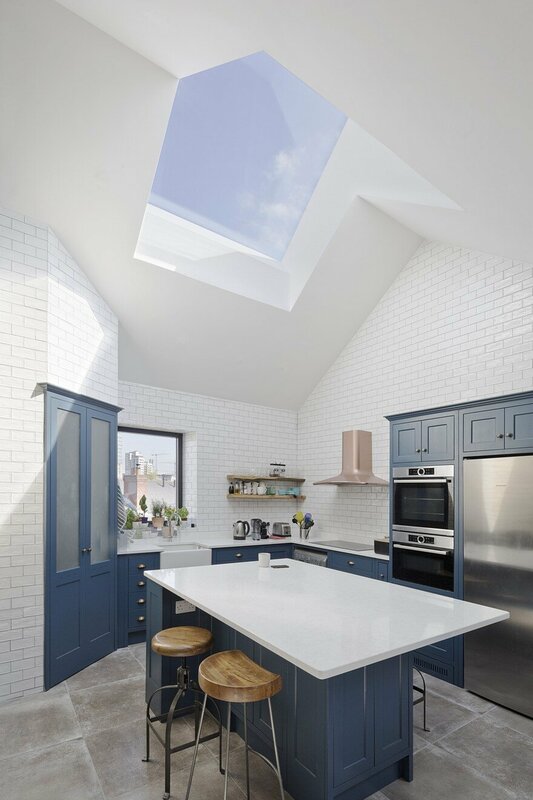 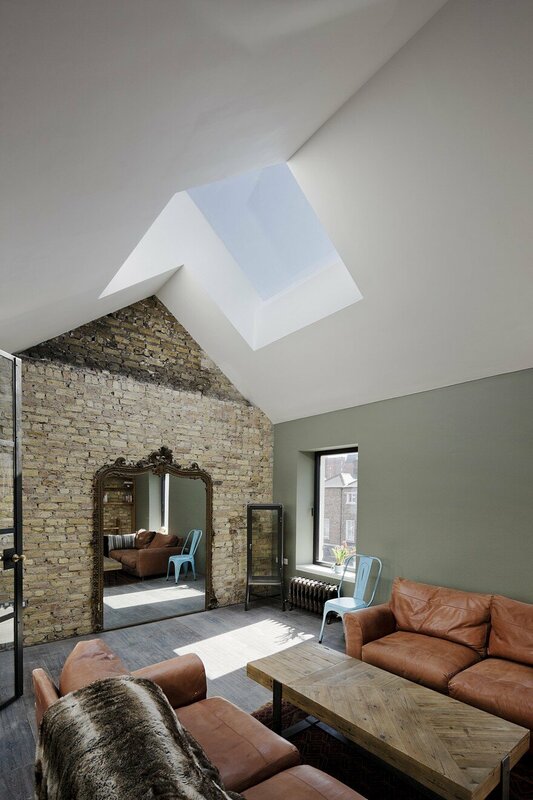 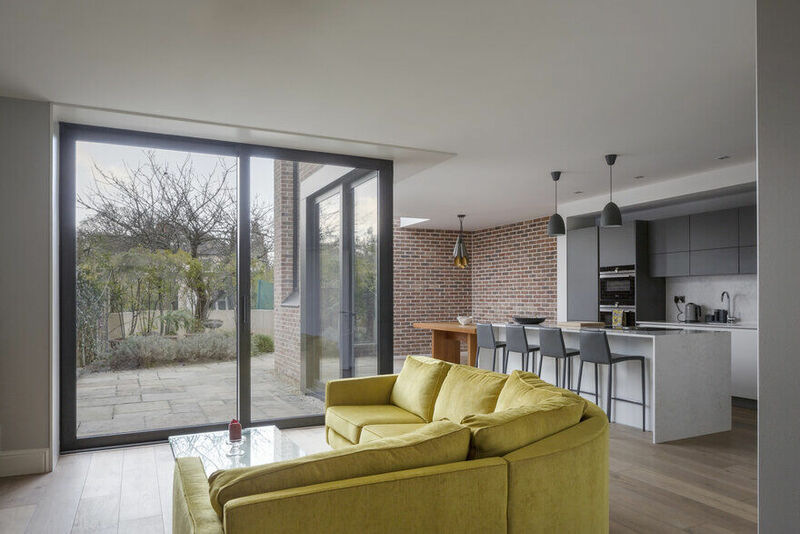 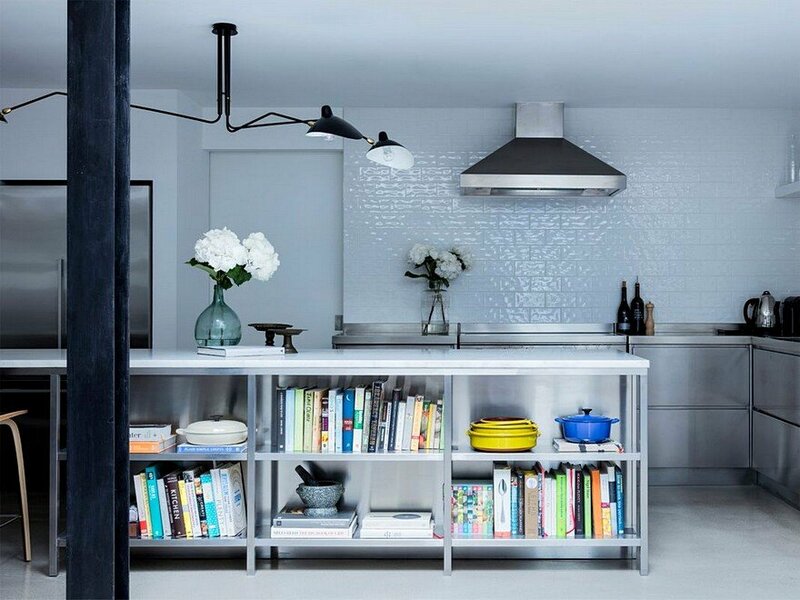 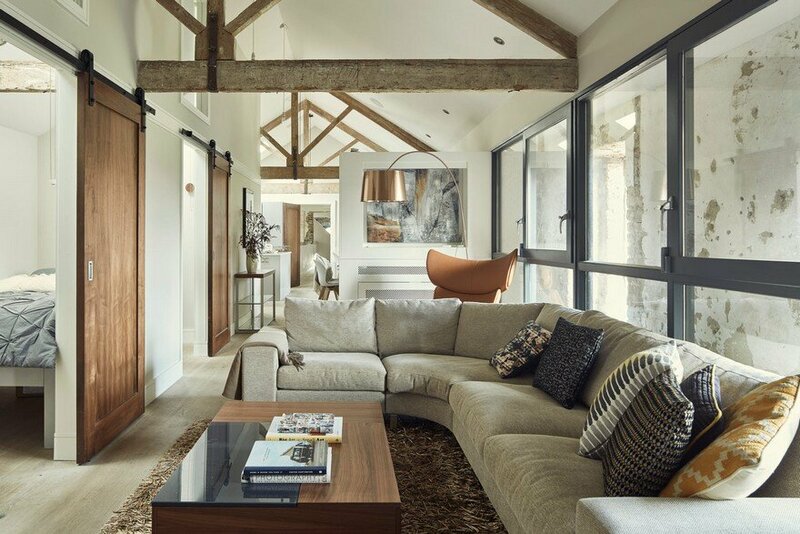 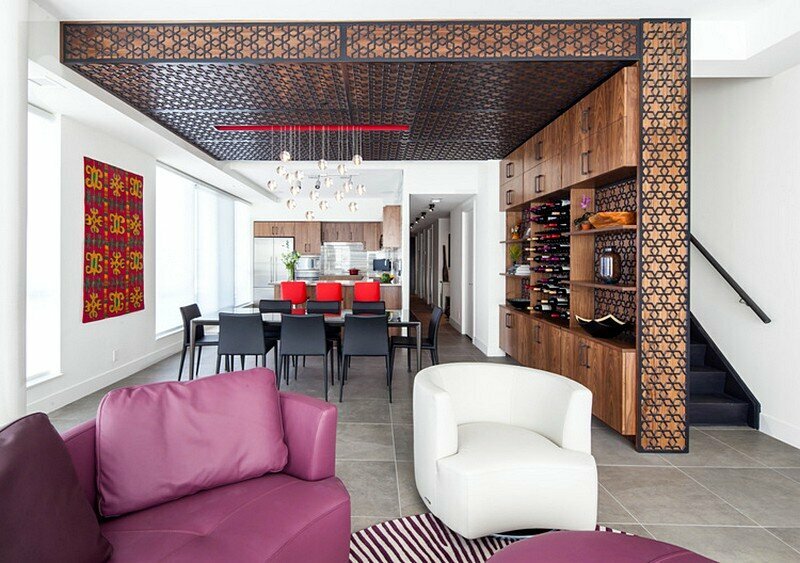 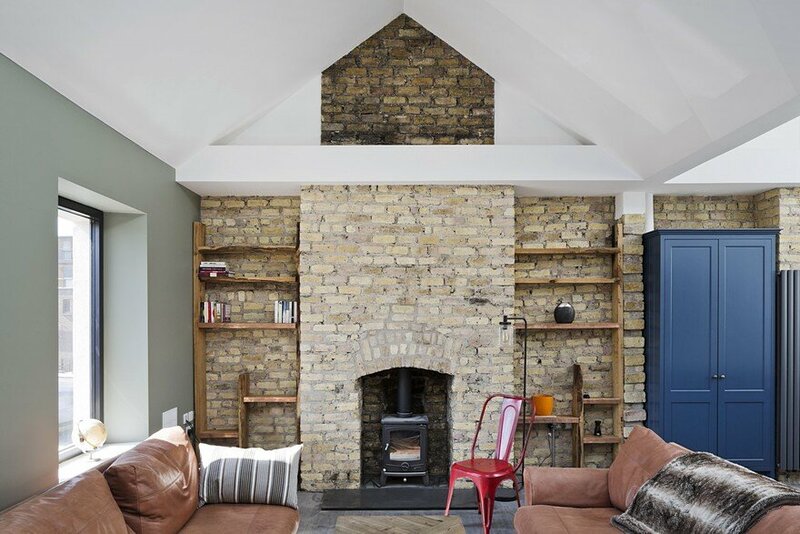 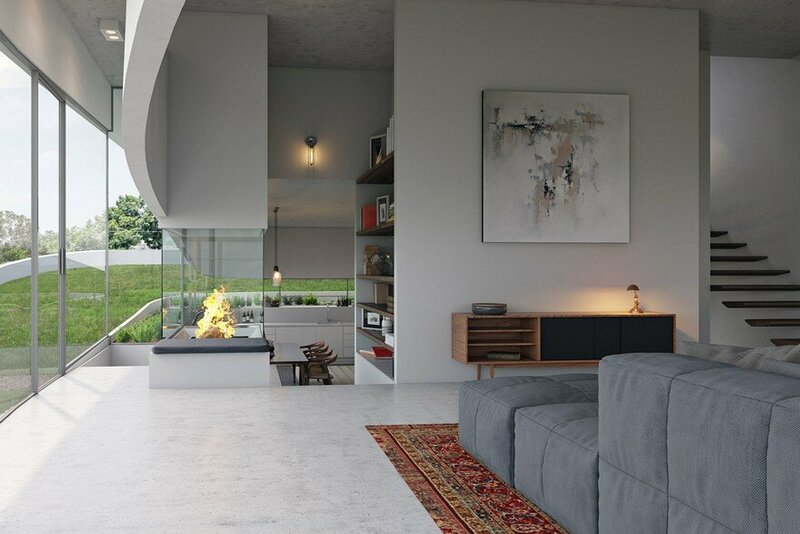 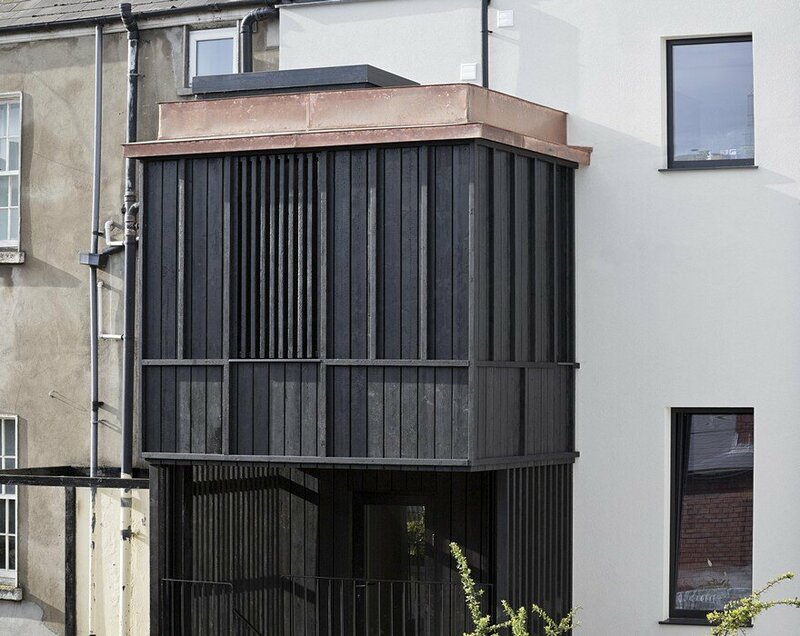 This project involves the transformation of a Georgian three-storey terraced house near Dublin’s Docklands from three bed-sits into one generous ‘upside-down’ family house. 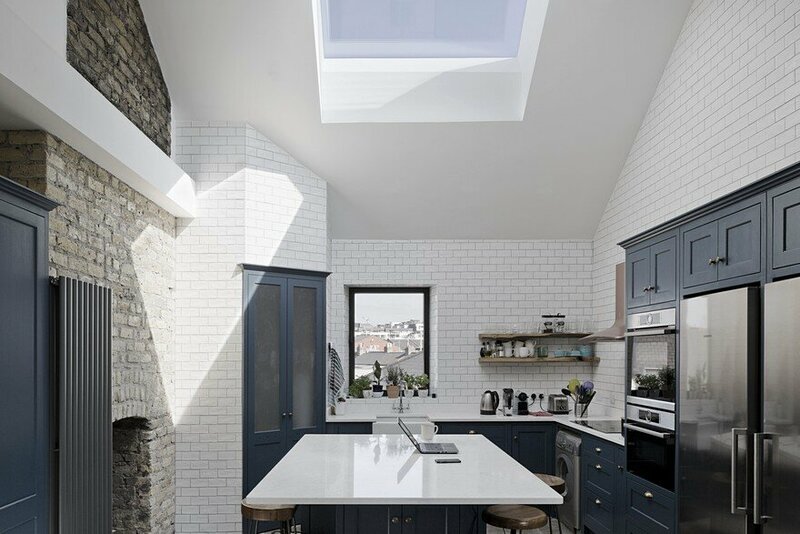 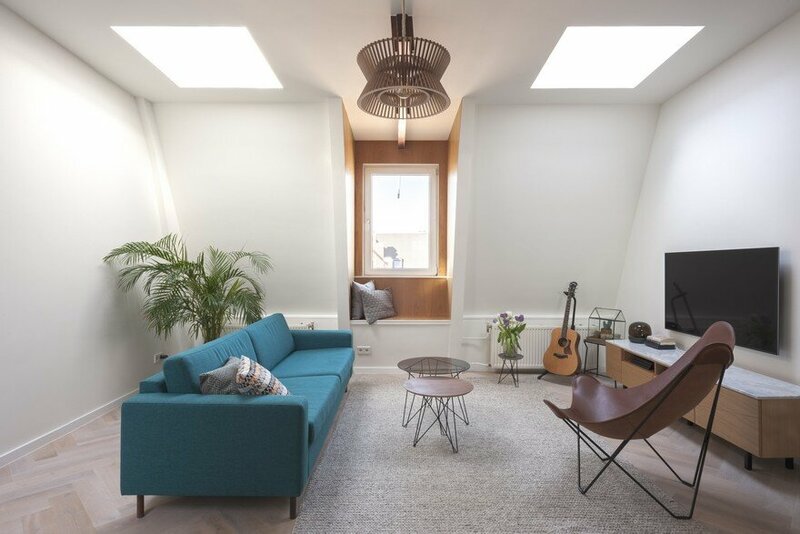 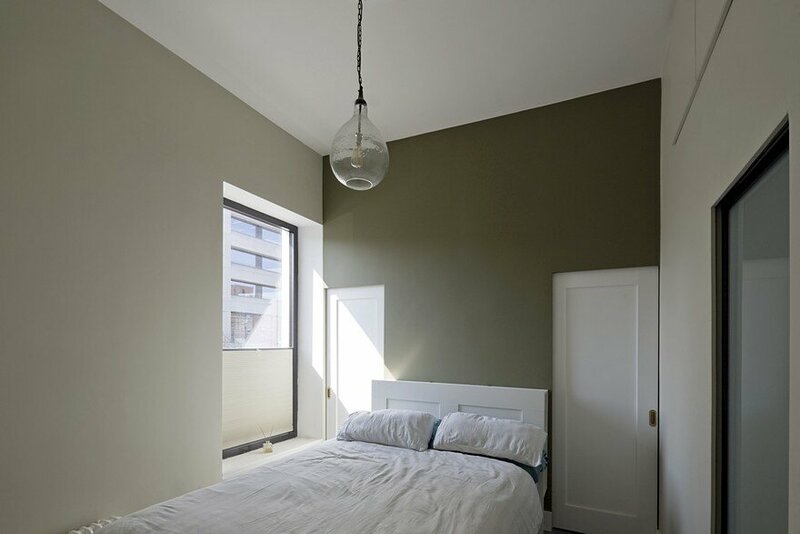 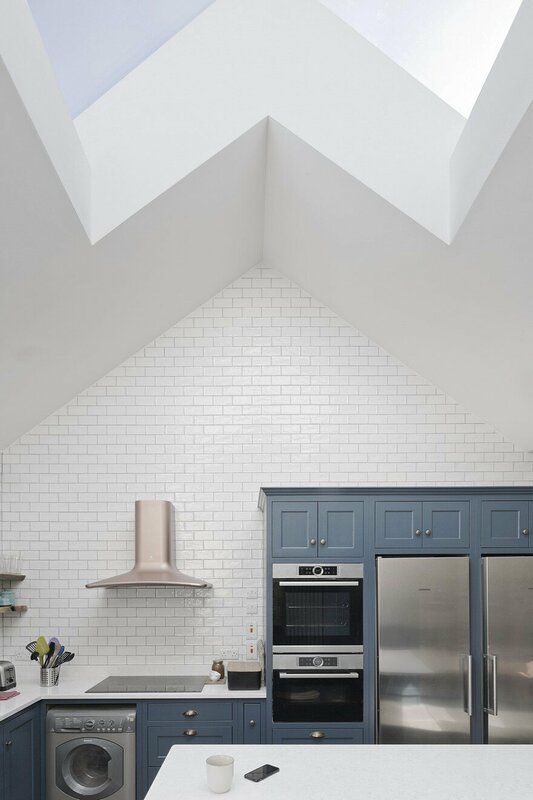 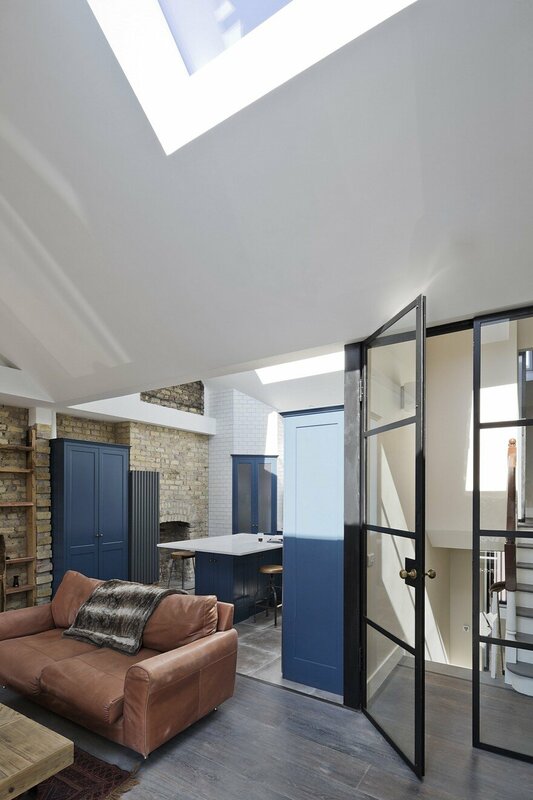 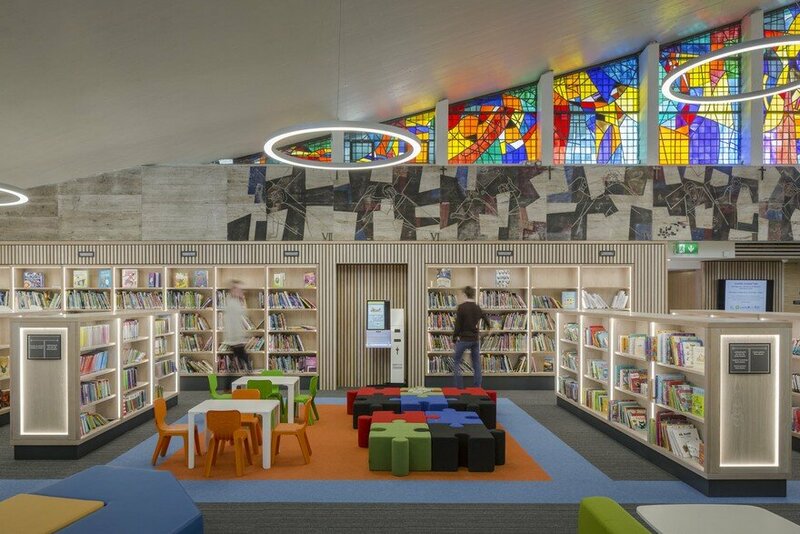 The roof was in poor repair, and so in replacing the structure we introduced two apex rooflights over an open plan living space at the very top of the house, flooded with light and enjoying expansive views of the city. 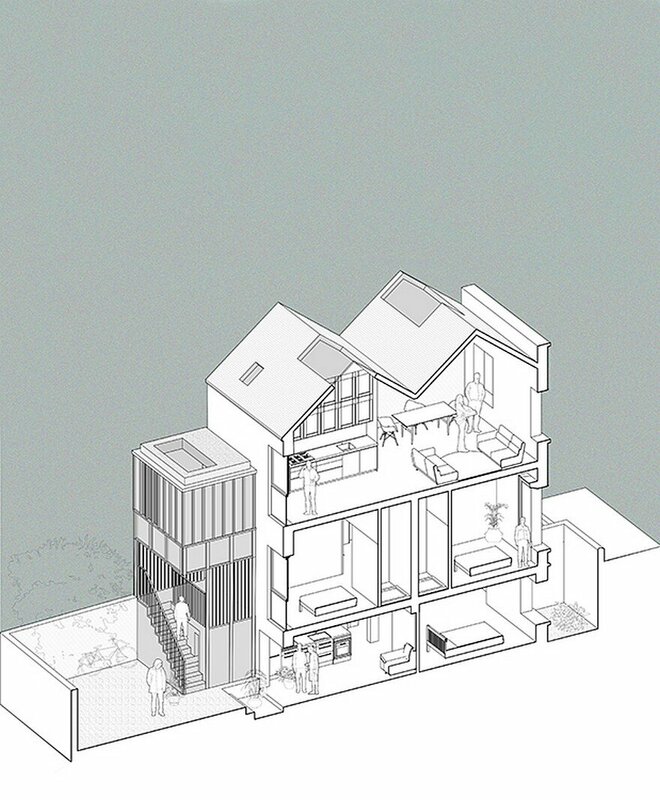 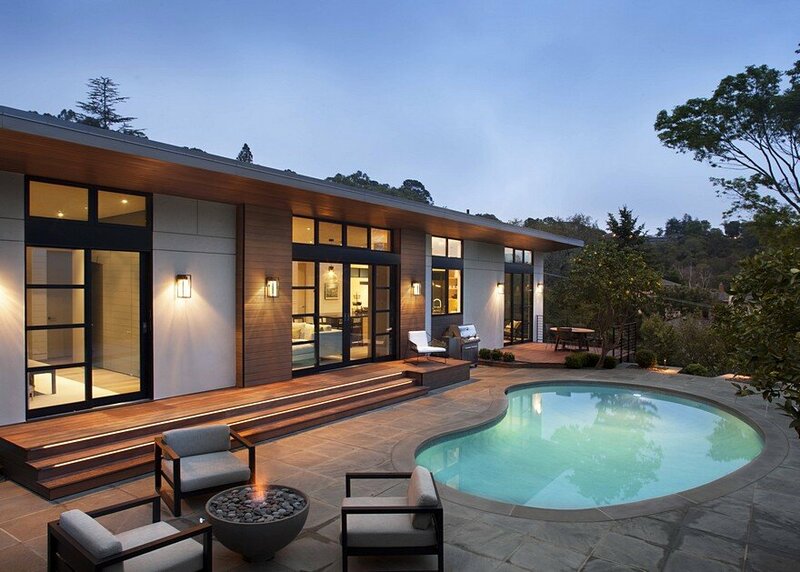 On the back of the house we added bathrooms sandwiched above and below a small terrace to the rear. 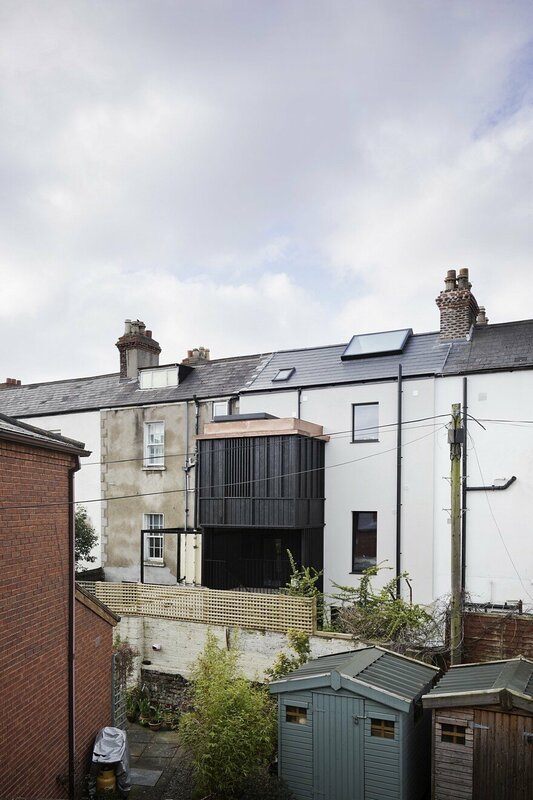 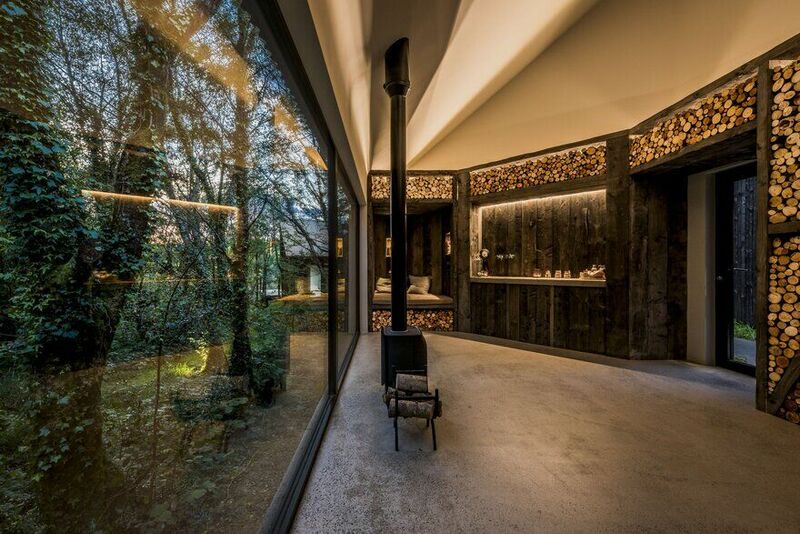 The bathroom block is conceived as a small tower and clad in Shou Sugi Ban charred larch and copper.